The novel’s beating heart is the power, scope, and ramifications of duty, loyalty, and brotherhood. 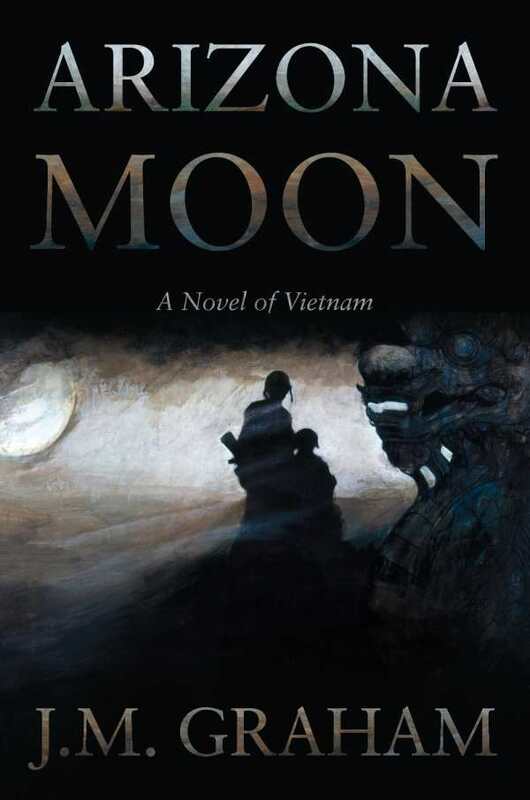 In his intense and empathetic Arizona Moon, J. M. Graham draws upon his own Vietnam War experiences. Corporal “Reach” Strader serves in a marine rifle platoon. Reach has “two days and a wake-up” until he rotates home, when a fellow soldier, called Chief, is wounded—and blamed for the deaths of two other marines. That this is in error is only evident after a helicopter carrying both soldiers is shot down. The pair must cooperate to survive, and Chief must find his spirit pouch, a sacred talisman that was stolen by an NVA soldier. Reach, trapped by the loyalty forged by marines who fight and die together, follows Chief deeper and deeper into enemy territory. The novel’s beating heart is the power, scope, and ramifications of duty, loyalty, and brotherhood. Exploring its themes at a pace that never slackens, the story’s tension, especially during combat scenes, ratchets up so tightly at times that gunshots seem to echo. The racial tensions that plagued the Vietnam War are touched upon symbolically through the platoon’s wariness of Chief, who is taciturn and who resists interaction with others. He is perceived to move with an aura of suppressed violence. Increasingly oppressive and malevolent as the conflict intensifies, the Vietnamese jungle becomes a cinematic setting, echoing noises fraught with danger as illusions shift in the rain and mist between enemies and friends. While the NVA troops survive on rice and political fervor, the marines move about sick with fatigue, choking down foul, chemically laced water, and cramming down C-rations. Arizona Moon is an intense study of men at war, with a restrained and realistic conclusion.